Series 1 is set to debut at San Diego Comic Con 2011 at October Toys booth #4838 and features coins by Andrew Bell, Frank Kozik, Joe Ledbetter, Scott Tolleson, and 64Colors. Each 1.5″ engraved metal coin is limited to 125 pieces and will be available for $10. 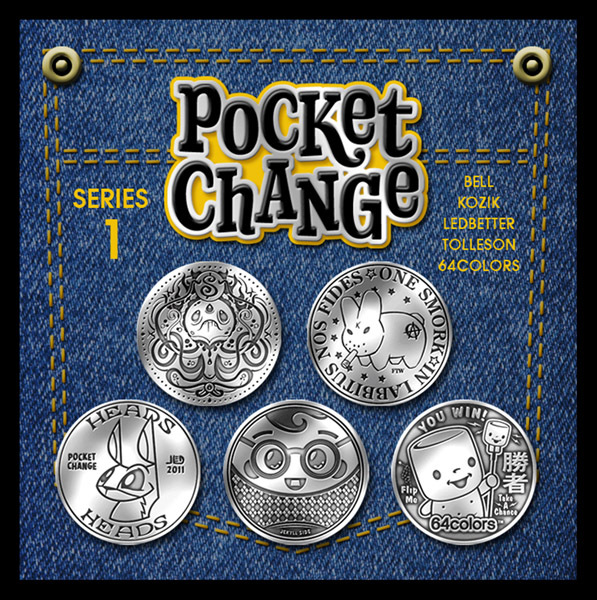 Shiny flippable fun included with every collectible coin! These are sweet! I hope some make it out the other side of the convention for us Overseas folk!